PasteItIn enhances the Windows clipboard in a very simple way. It will greatly increase your efficiency when you copy and paste information between multiple applications. PasteItIn continuously monitors the clipboard and stores text you copy from any application. As you copy items PasteItIn creates buttons with the information. You can then paste the items by simply clicking each button as you need it. PasteItIn removes all formatting so the text will automatically use the formatting style of the application that you paste the text into. You can create multiple groups of buttons that can automatically pop up when you open a specific application, window, or web page. A Quick Fix macro language allows you to efficiently correct formatting issues before you paste the information into the target application. © 1998-2019 Beuger Enterprises, Inc.
What is new in this version of Pasteitin? * Added Move Button and Mark Button Unused as Copy Duplicate options. * Added shortcut keys to Copy Duplicate options, default ALT-1..4. * Added help hints to setup window. * Added function to hide button window from Windows 10 lock screen. * Improved search buttons function with ALT-F3 shortcut key access. * Network version clipboard sharing works with OneDrive, Google Drive, DropBox, etc. * Fixed issue with network settings file location. * Fixed several issues with data folder location in Network version. * Fixed issue with entering license information. * Fixed issue with Alt-E edit last button shortcut key. * Fixed issue with Edit Button title bar text after using Group Options. * Fixed issue with tray icon after explorer restart. The Professional version is ideal for individual users with only one computer. The Network version allows you to share the clipboard between multiple computers and is great if you have more than one computer. 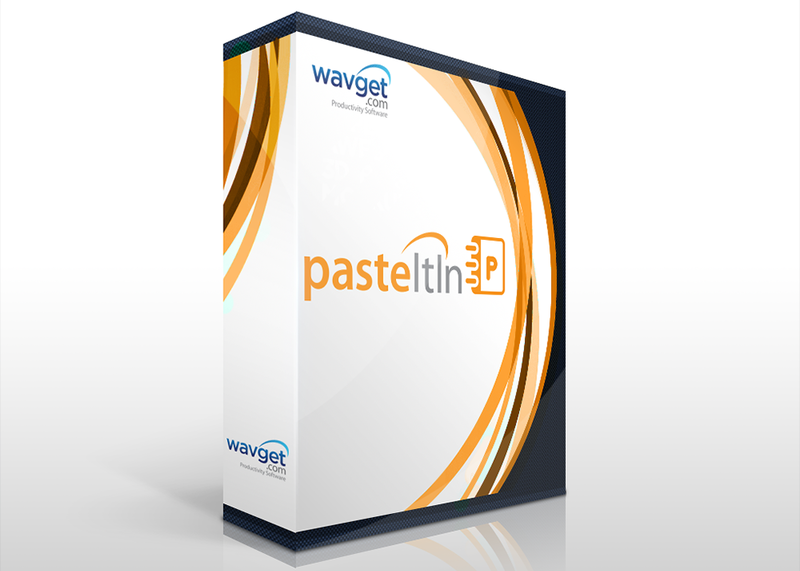 Wavget.com software is free to use for 30 days. If you like the software and want to continue to use it after 30 days, you have to purchase a license. A license is one-time purchase valid indefinitely for the version of the program you purchase. When you purchase a license it includes one year of maintenance upgrades. You can purchase additional years of maintenance if you would like to receive new versions for a longer period of time. You will receive your license information via email with instructions on how to enter it into the program so you can continue to use it. A license entitles you to use the software on multiple computers as long as you are the only user.